To access all content you will need to enter a username and password. You will be redirected to our Password List. Off campus access to the list will require your Student ID and Password. 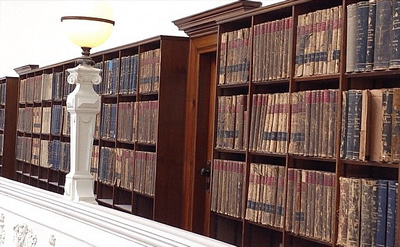 Search our catalogue for Legal practice​ to see what's on the shelves. To access the LexisNexis Legal Resource (includes Australian Current Law Reporter, CaseBase, Civil Procedure Victoria, Unreported Judgments) you will need to become a member of the State Library of Victoria. Once you are a member you simply login to their site to use the resource. You can join the Library online or by phoning 8664 7004. Memberships can be processed on the spot – at the Customer Service Point at Level 2. Bring proof of your identity and Victorian address. Search using keywords such as Justice or Legal. IBISWorld Industry Report M6931, September 2017. Search our eBook catalogue for Legal practice to see our range of eBooks. You will be prompted to log in with your Student ID and Password. Use specific keywords (see the list on this page) to refine your search. Outlines aspects of the use of non-adversarial practices in the Australian justice system. This book examines important recent cases in key areas of discrimination law and particularly in all aspects of employment and harassment, the provision of goods and services and education. This is the first work on Affidavits published in Australia and sets out to provide a reference for evidentiary, formal and procedural rules together with precedents. This book explains the what, the why and the how of basic advocacy skills and techniques using four realistic scenarios to illustrate the use of the techniques in practice. Helping Victorians better understand the law and legal system. Excellent collection of online manuals relating to criminal and court procedure. From the Fitzroy Legal Service. Wikipedia article linking to all Australian courts.